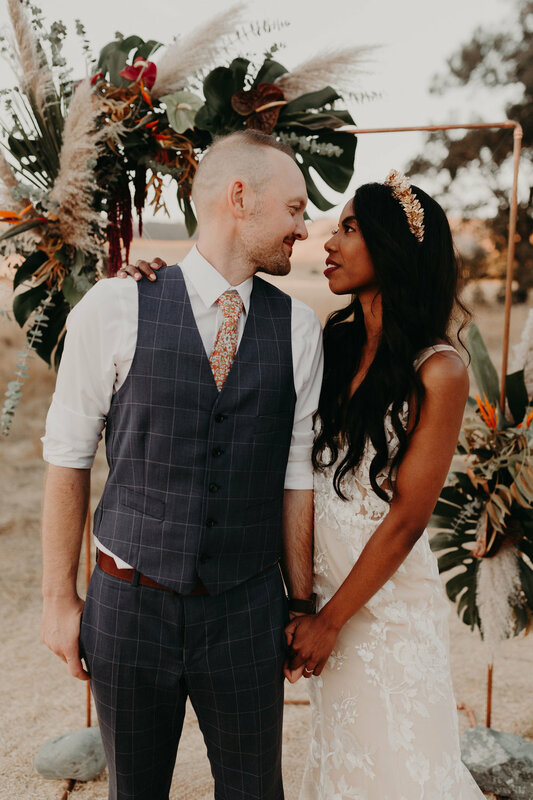 E+E Wedding at California Ranch Events in Livermore Ca — Penny & Co.
Emily and Eamons wedding was the perfect goodbye to summer and hello to fall. 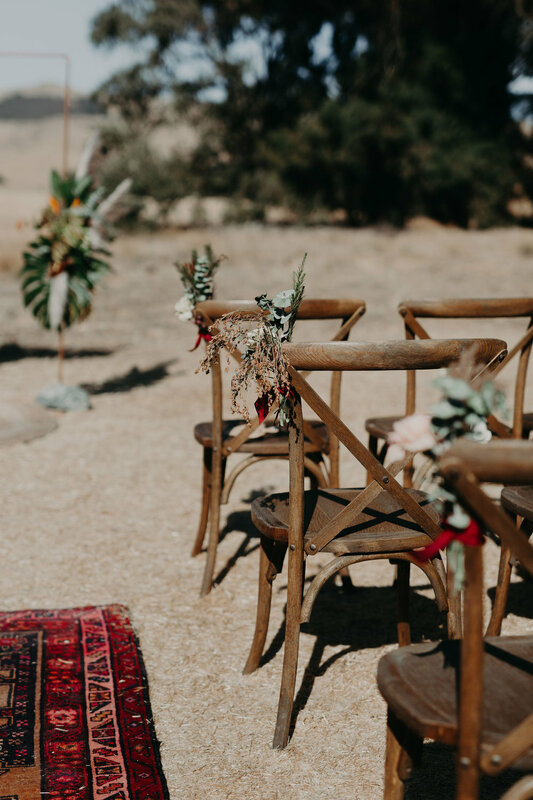 The tropical colors of the florals paired so well with vibe of the Rustic Reinstein Ranch, which at this time of year is surrounded by California’s Golden Hills. 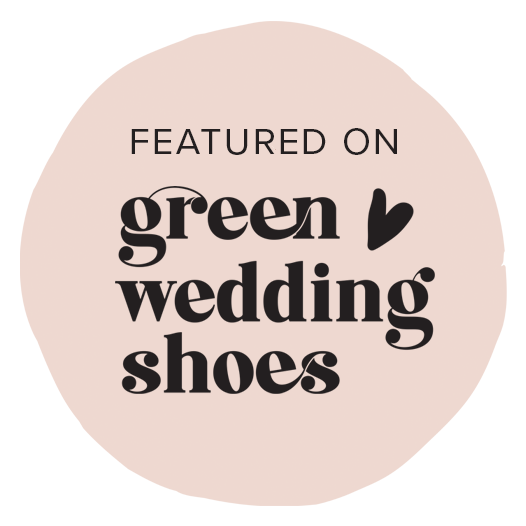 Two of my favorite places to travel have been the Sorornian Desert and the Rain forests of Hilo and their wedding has styles reminiscent of both of those places. The couples fun loving sense of adventure shined through everywhere you looked. This is partly because Emily designed the wedding herself and hand picked most of the decor in these photos. There are so many unique elements from the world map guestbook, to the vintage camper photo booth and my favorite, a mobile donut truck for dessert! 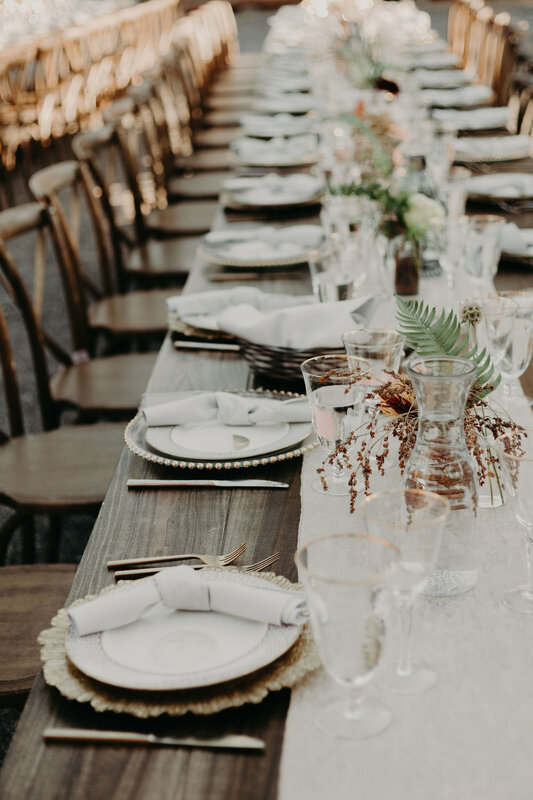 Check out these amazing photos and the vendor team that made the day come together. Beware though, after looking you might feel the urge to pack your bags and hit the roads to travel!